Does Glucerna Rate as a Worthy Diet Shake? Diabetes is a health disorder associated with a person’s lifestyle. It is all about blood sugar and how to control it in your body. The health and fitness industry has products to help with diabetes including shakes such as Glucerna. There are two types of diabetes type 1 and type 2. When you have type 1, your body is unable to produce insulin, which is a hormone that fosters conversion of glucose into energy in your body cells. Type 2 diabetes is about insulin being unable to carry glucose to the cells. Your body is unable to respond to insulin. Your pancreas has to work harder to produce more insulin. It reaches a point where your body cannot produce any more insulin, which causes high blood sugar in your system. Glucerna is a brand that provides consumers with meal replacement shakes and bars. The manufacturer is Abbott Nutrition who adheres to the standards of the American Diabetes Association and the American Heart Association. Glucerna meal replacement shake specifically targets consumers with type 2 diabetes. These two organizations have specifications for diabetes products. They recommend using monosaturated fats and lower calories and saturated fat to 4%. Abbott adheres to these standards. Glucerna has a solid baking of over 30 clinical studies. Use it to reduce blood sugar spikes. You do not have to be a diabetic to use a Glucerna shake. Considering it has low calories, sugar, and carbs, it performs well as a meal replacement shake as well for non-diabetics. Instead of having a plate of fries or a pack of crisps, drink this shake. It is more nutritious and helps you watch your calorie intake. Abbott provides other products including hunger smart shake, advanced shake, snack shake, snack bars, and mini treats bars. How do we rate Glucerna shake as a meal replacement solution for diabetics? Continue reading to find out. The meals we consume contain calories. However, it is important to keep the amount as minimum as possible to prevent unnecessary weight gain. Glucerna contains 190 calories, which are higher than those in most meal replacement shakes. Some have 90calories, 100, 110, and 120. Therefore, in terms of calorific content Abbott is making products with calories on the higher end. However, 60calories are from fat, thus lowers the main calories to 130. Therefore, it is great for diabetics, but non-diabetics can find other shakes with lower calories than 190. Note that overweight people tend to have cravings for sugars and foods with high calories. They are also at a high risk of developing diabetes. Therefore, if Abbott provides them with a shake that has a high calorie amount, it encourages weight gain, which makes them gain more weight. Carbs provide your body with energy and facilitate weight gain if consumed in high amounts. Meal replacement shakes aim to minimize the amount of carbs you are consuming to foster a healthy body. Many of them have carbs ranging from 6-10g. 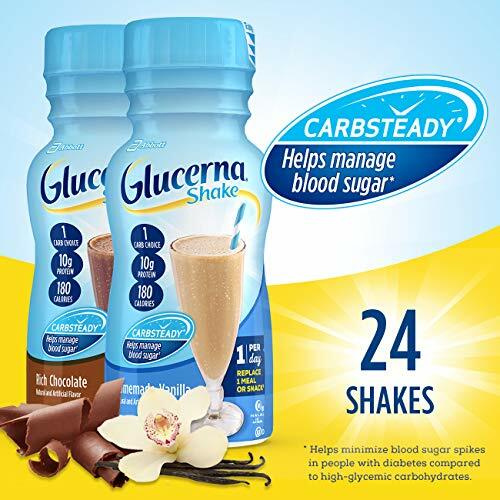 Glucerna powder contains 26g carbs, which is out of the recommended range for those who want to use it as a diet shake. 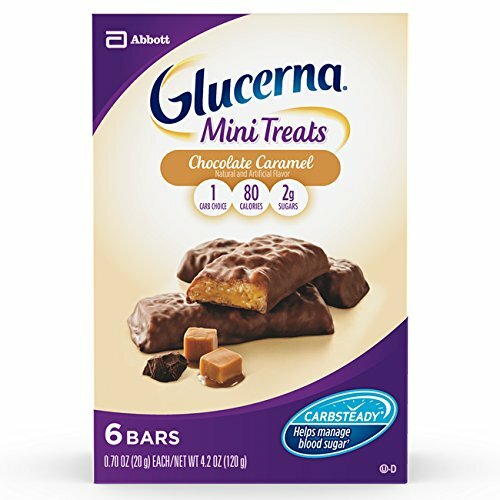 The manufacturer calls Glucerna a ‘carbsteady unique bends of slow-release carbohydrates’ that help you manage your blood sugar levels. Carbs increase blood sugar levels. However, if the carbs in Glucerna raise your blood sugar levels to reach your target range, it is fine. Besides, this product contains 6g sugars, which is a low amount. There are two types of carbs simple and complex. Simple carbs cause sugar spikes, which is something diabetics do not need. The simple carbs are present in foods such as candy, soda, and ice cream. They cause sugar spikes because your body absorbs them fast. That is why you should eat meals with complex carbs such as whole wheat, oats, legumes, and beans. They are digested slowly into your blood stream to provide controlled blood sugar. Glucerna does not contain carbs that cause sugar spikes. That is why it is a recommended product for those suffering from diabetes. Protein serves a crucial role in the human body. It mainly promotes muscle building and repair. Protein is also a source of energy and contributes to making you feel full for a long period. Mayo Clinic says an adult requires 46-56g of protein. Glucerna drink has 10g of protein, which are enough for a meal replacement shake. The standard amount ranges from 10-15g. The 10g from Glucerna boost your protein intake. Foods to eat for protein include fish, beans, lean meat, and poultry. There are three types of fat saturated, unsaturated and trans fats. Trans fats and saturated fats are bad for your health. Glucerna nutrition has 9g of fat inclusive of 1g saturated fat. The remaining amount is unsaturated fat. The shake has no Tran’s fats though. It also has 5mg of cholesterol. The fat level in this product is fine. If you are looking for shakes with lower amounts of fats, the market has them. Some of them have a slow as 2g of fat. Cholesterol is terrible for your health. It binds on the walls of your arteries a factor that makes them narrow. This causes high blood pressure. For this reason, it is important to buy diet products with no cholesterol. Glucerna ingredients include 5mg of cholesterol per bottle. The role of fiber in your body cannot be underestimated. For instance, it improves digestion of what you consume. It also assists with disorders such as constipation, gas, and bloating. A shake wit high fiber levels keeps you full for long to ensure you do not snack a lot in between meals. Glucerna shake contains 3g fiber. The amount will provide your body what it needs to function properly. If you are a non-diabetic using Glucerna as a meal replacement shake, the market has other products with higher fiber content. Some contain 5g, which is slightly higher than the 3g. 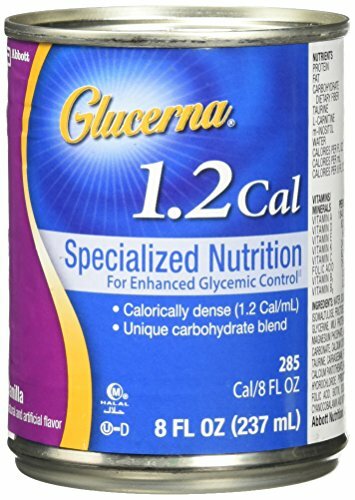 Glucerna nutrition label has 14 minerals including 380mg potassium that helps with regulating sodium levels. It also includes iron, calcium, folate, magnesium, and selenium among others. The vitamins are 15 in total with A, D, C, E, K, and B-12. Glucerna provides several flavors for consumers. There are homemade vanilla, chocolate, strawberry, butter pecan, and the latest one being chocolate caramel. Among the four, there must be one or two that suit your taste buds. Speak with your doctor before using Glucerna powder. That said, this is an easy to use product. Mix it with water and drink. However, do not overuse it that you become addicted. It is possible for Glucerna shakes for diabetics to cause a drop in your weight. It is because it contains low calories and a high amount of protein. Meal replacement shakes with such a characteristic encourage gradual weight loss if used alongside a proper diet and exercise. The meal replacement shake goes for $39.90 for an 8oz bottle. This is an affordable rate. Look out for trial offers if you are yet to use this shake. They are a good way to introduce your body to the product. If you can get Glucerna coupons, take advantage of them and get to buy the shake at a lower price than the usual price tag. Purchase Glucerna meal replacement shake from their official website. Glucerna Amazon products are also available. Several other online sites offer this product, for example, Walmart, Target, Walgreens, and CVS pharmacy. Nevertheless, you can buy it from the store or pharmacy near you. 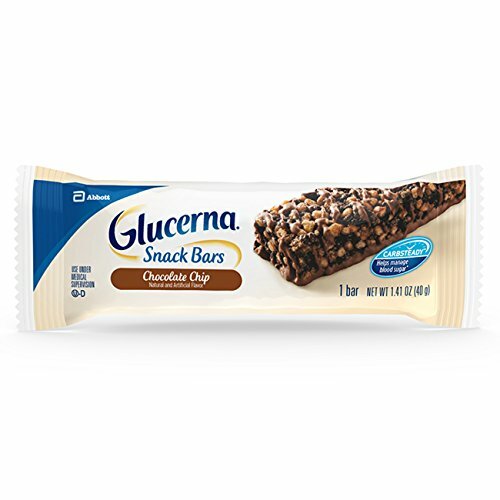 Glucerna ingredients include components that raise eyebrows such as fructose, artificial sweeteners, and sugar alcohols. These are not good for diabetics or anyone else. Research shows that sweeteners such as sucralose can cause more sugar cravings and overeating, which is terrible for your health. The two questionable ingredients increase the risk of non-diabetics developing diabetes. On the positive side, Glucerna is honest about its nutrition facts. Some brands lie about not containing artificial ingredients. Therefore, when you decide to use this product you know exactly what it contains. All that Glucerna does is regulating blood sugar in diabetics by ensuring slow release of carbs. This prevents sugar spikes. 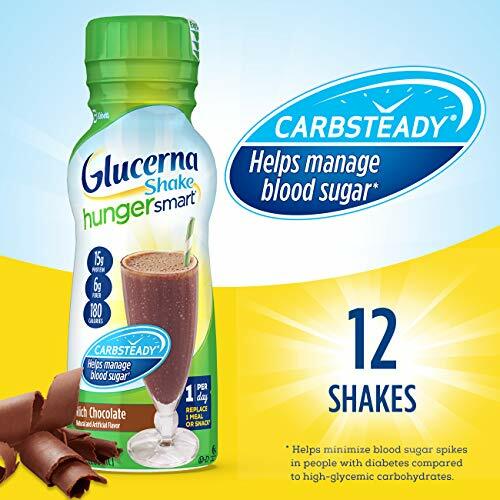 From Glucerna reviews, users are happy with the product stating it has enabled them to manage their blood sugar. However, some users mention Glucerna side effects one of them being diarrhea. Glucerna is a great shake for diabetics. It has low calories, carbs, and sugars to help them curb sugar spikes manage the condition. Even if you are not suffering from diabetes, this is a shake worth trying. Use it as a meal replacement shake. It will prevent you from having diabetes type 2 and serve as a good diet shake. Despite other meal replacement shakes having lower carbs, calories, and sugars than Glucerna, it is still worth using especially if you are having a hard time adjusting to low calories and carbs. However, the artificial sweeteners and sugars are not good for you. Only use this product if you are fine with the two. Note that Glucerna does not contain probiotics, a component that other diet shakes have for proper gut health.